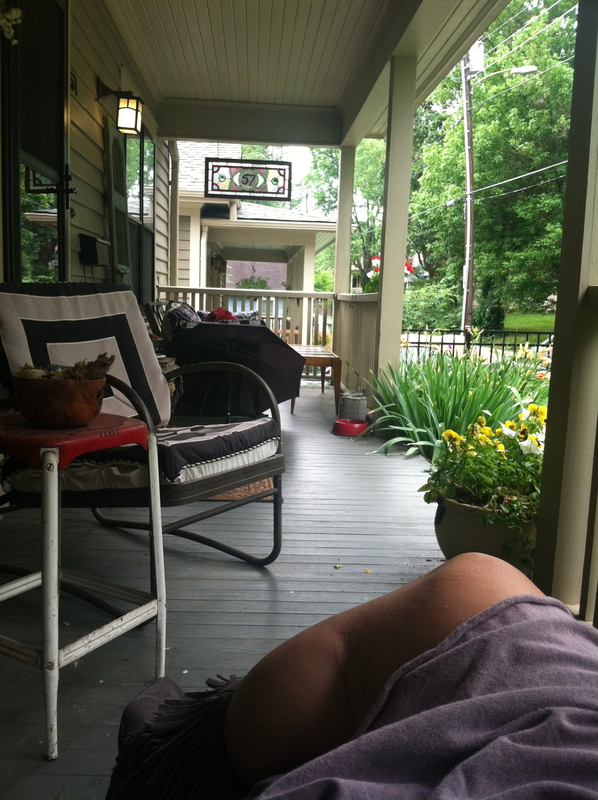 I sit here typing in a rocking chair on the porch of my motel in Townsend, TN, reminiscing about my last 3 days in Asheville, NC. Porch swings and rocking chairs are popular here in the south where the weather is sultry and languid, and I am getting rather attached to them. There’s nothing quite like swaying with the descending sun as the temperature thankfully drops a few degrees. I found out when I was in Savannah that a friend that attended the January Shakespeare Intensive with me in Lenox, MA, lives with her husband in Asheville, NC. 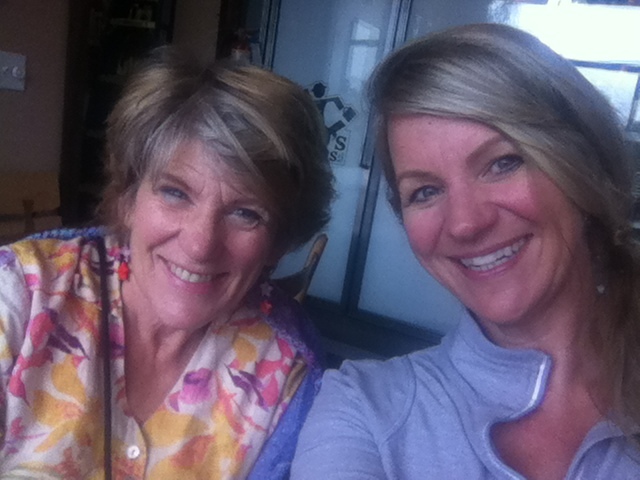 I wrote and asked Jane if she was available for a visit and I received a resounding yes and a welcome to stay in her home. 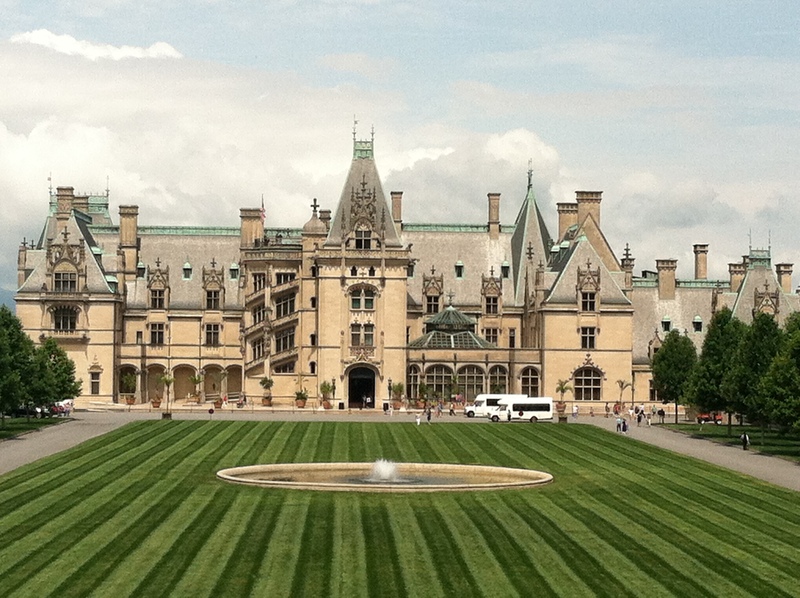 I knew NOTHING about Asheville so I started google searching, and as is typical for my trip, found out that it is home to the Biltmore Estate, a place I have always wanted to visit from seeing photos. This made my excitement even more palpable, PLUS it is just over the hills from the Great Smoky National Park, a longed-for destination. So is it any wonder that the night I arrived Jane met me at the door to her lovely home with a nice dinner and whisked me off to walk a few blocks to a performance of Much Ado About Nothing in the park. What a perfect welcome to the neighborhood! The next morning we rise slowly and walk to a cafe for breakfast. I LOVE living so close to everything that you can walk, it is a hope I have for my next home, along with the porch swing! 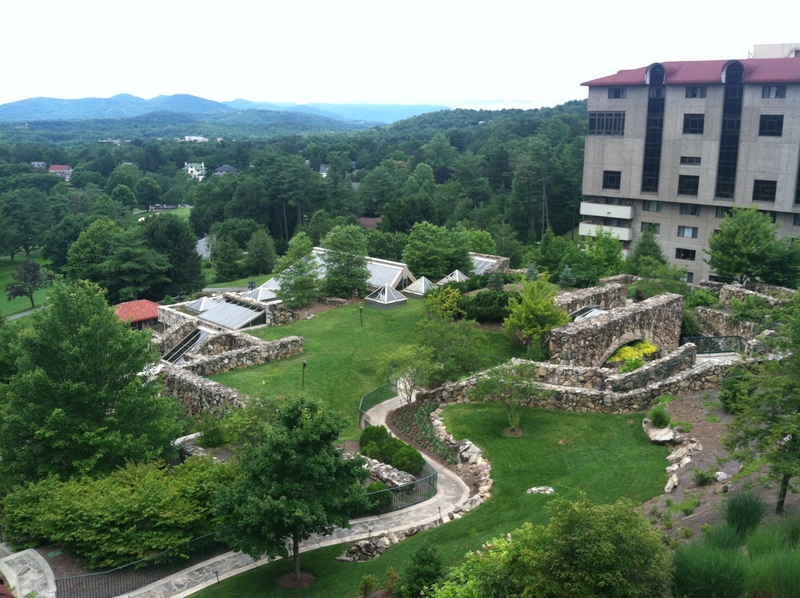 From there we walk to the visitor’s center and hop aboard a trolley for a tour of the town. Oh, before I forget…in driving into town I took the wrong highway and ended up coming to the house via the scenic route, thank goodness for my iphone gps. But I passed a sign on the roadside that made me stop in the middle of the road and then circle back to read it again. It was a plaque commemorating that Zelda Fitzgerald died in Asheville! 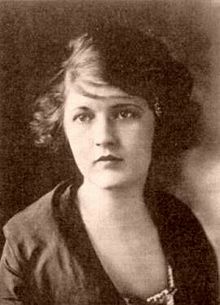 Now if you have been following my blog for a while you will note that I identified with Zelda in my post, F. Scott Fitzgerald of the Rocky Mountains. So I was taken aback to find her name connected to a little town in NC that I happened to be visiting. On the trolley tour we saw the Highland Psychiatric Hospital where Zelda lived in the late 30’s and later died in a tragic fire because of being locked in and not being able to get out in time. I am intrigued to read more about her, she was an artist, a writer and later honored as a feminist icon, right up my alley! May she live again in ME! 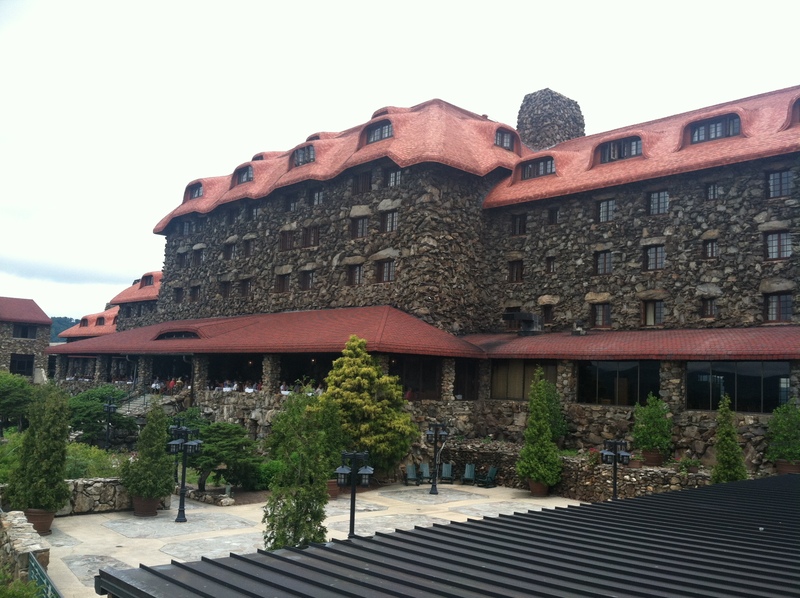 Also on our trolley tour was a stop at Grove Park Inn, a massively beautiful, granite resort overlooking the city, built by a crew of 400 men in 1912 in only one year. It is stunning, presidents have stayed here and F. Scott Fitzgerald rented 2 rooms while Zelda was a patient at the hospital. Here I was faced with those Fitzgeralds again! 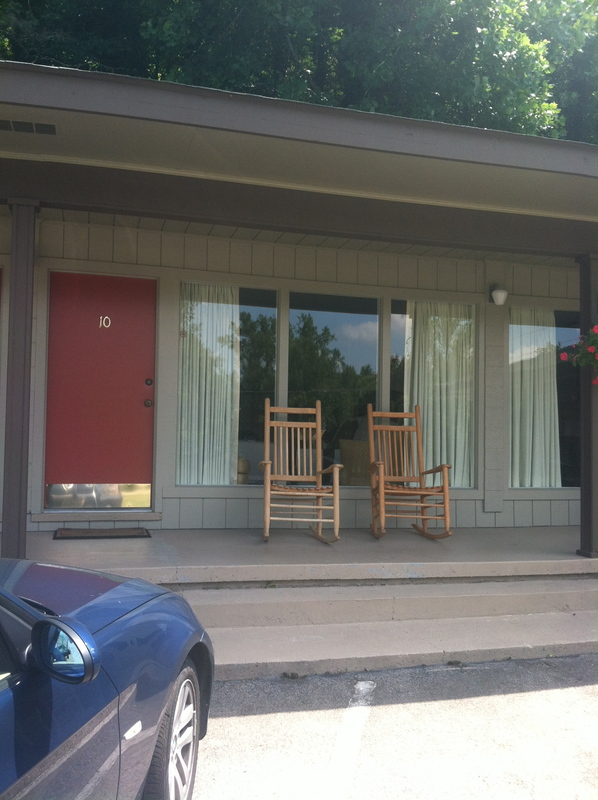 But I was struck by the hotel’s awesomeness and could have rocked on that porch for hours. We had some dorky trolley guides on the bus tour, they needed acting training in the worst way, but it was still a wonderful overview of the city. It reminded me of Seattle in a very warm way. Hip cafes and shops, the most like “home” I have felt east of the Mississippi. And it helped to have warm family-like friends to pal around with. 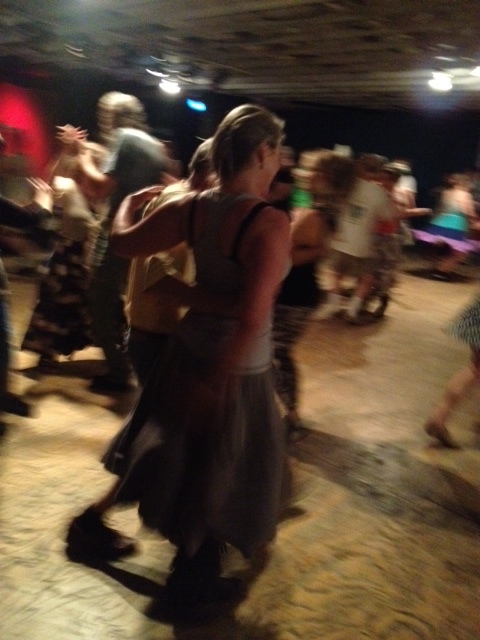 Me, a blur, while waltzing at the contra dance! That evening I did another “first,” Jane took me contra-dancing! You know me with my love of dance, I didn’t have to be coerced and I joined in the sweaty, multi-generational crowd to waltz and learn contra. It is like square dancing without the poofy skirts and I took to it like a duck to water. My male partners would not believe that I had never done it before. It was over all too quickly. 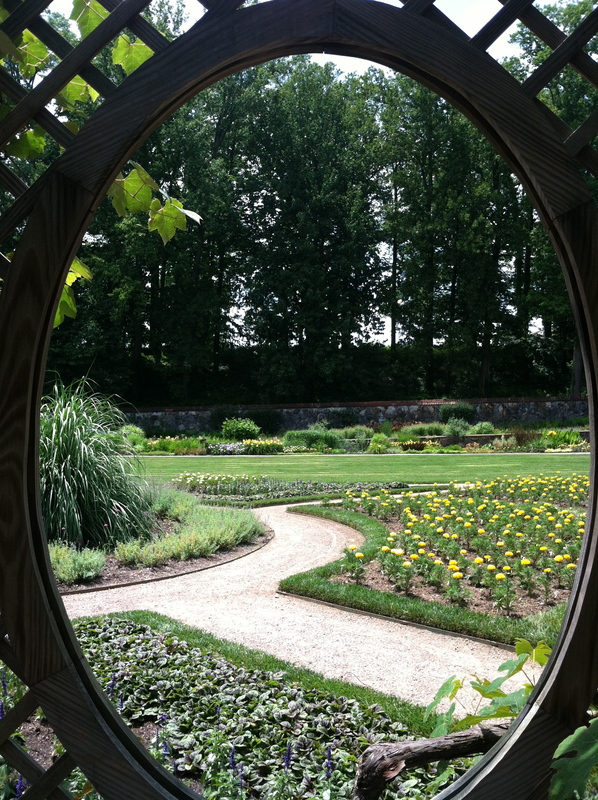 The next day was reserved for the big tour of the Biltmore Estate. The anticipation was sweet. Jane drove us over in her convertible. We drove a couple of miles inside the grounds and parked with nary a peak of the largest private home in the USA. As we followed the path to the house, Jane said, “let’s go up here and enter after seeing this statue.” We walked out on the lawn and my breath was taken away by the view of the castle from the sloping lawns. It was so unexpected, so massive, so magical, so European, so dreamy that I wanted to fly down the lawn and get even closer. I can only imagine how Eliza Vanderbilt felt in her 20’s coming here after her marriage to it’s proprietor and looking at the view. To heck with the porch swing, I’ll take a castle! We toured the home, which took hours, going through rooms phenomenally decorated with paintings, tapestries and priceless antiquities. 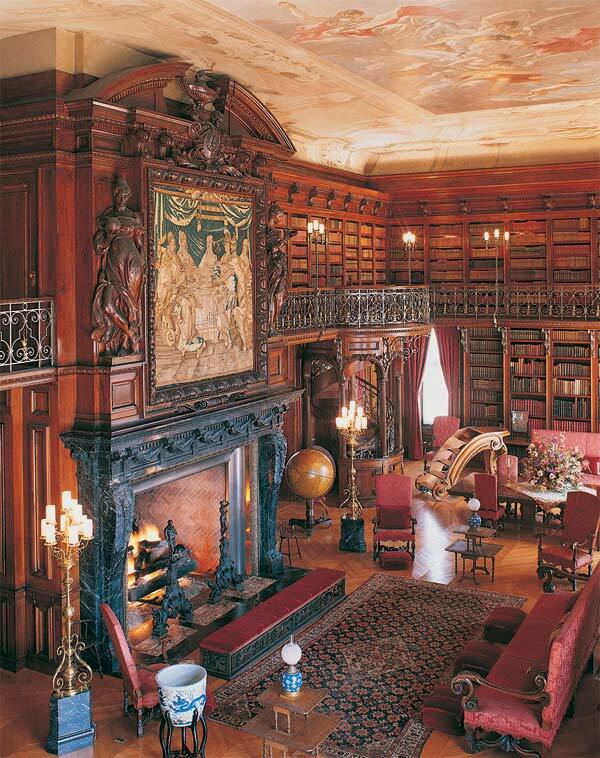 My favorite was the library, everything you can imagine in a two-tiered, wood-paneled, book paradise, with an imported painted ceiling from Italy. It was a fantasy castle of one man’s brilliant vision and artistic achievement. I still can’t believe I stumbled into the town where I could finally see it! It was something out of a fairytale book, rather like my life at the moment.